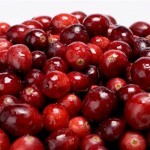 DiabetesHealth – A Delicious, Diabetes-Friendly Cranberry Sauce! So – how to sweeten it up? This year, I set out to create something delicious and healthy to take the place of traditional sauce.